Fill out the info form on our site or give us a call at 978-712-8250 so we can learn a bit about your property. We may reach out for extra information to fill in the gaps. As soon as we have the information we need about the property Blake will call you to present a verbal cash offer. Quick, Easy, and Free! If it sounds like we’ll be able to come to agreement on terms, Blake will set up an appointment to view the house and confirm all information about the house’s condition. In person Blake will present a no risk, no obligation, fair written offer for your house in its current condition. This offer will be tailored to meet your specific needs and goals for selling the house and receiving your cash. We will meet to close with a local closing attorney the date of your choice. When we close, you get your cash! Timeframe: After receiving your info, we are usually able to give you a cash offer within 24 hours. After we discuss the offer, time to close can be as little as 7 days, or whenever you’d prefer. We’d be remiss to omit that it will occasionally take 30-60 days to close, though this is the exception rather than the rule. 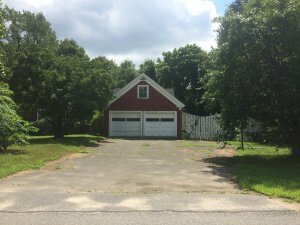 We Buy Houses in Massachusetts buys in and around Beverly, Gloucester, Danvers and other areas too! We are not listing your house on the MLS… we’re the ones actually closing on the property. Paying in cash allows us to close quickly… or on your schedule. Working with us means no fees, commissions, or dealing with banks and crazy paperwork. Rather than being nickel and dimed and losing up to 20% of the purchase price to fees and extra costs in a regular transaction. The price we offer is the price you get. What this means is you don’t have to pay anything out of pocket to sell your house fast, there are no extra costs to worry about, and you don’t even need to prepare your house for sale – because we’ll buy it as-is! That’s right – ugly or pretty, clean or messy, we don’t care what your house looks like when we buy it. So you can strike that off your list of things to worry about when selling right away.